Brand strategy definition Archives - Marketing & Brand Strategy. Steve Poppe, Founder. I am loath to admit it, but What’s The Idea? is a small batch brand strategy consultancy. The market has been conditioned to think a large corporate brand strategy has to cost $100,000; add another $150k for naming and logo design. Most of my clients don’t have that kind of money. My clients tend to be small and mid-size or start-ups. My framework for brand strategy – one claim, three proof planks – is tight and enduring. But for some larger businesses, helmed by multivariate-obsessed MBAs, it may seem overly simplistic. And inexpensive. Simplicity is the beauty of the framework, frankly. It mirrors what consumers remember. In small batches, with only 40 or 80 hours invested in research and planning, the process has to be relatively simple. 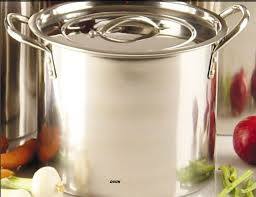 The information gathering metaphor I use is the stock pot. My cognitive approach, the “boil down.” When you work in small batches, you self-limit your ingredients. You know what not to heap into the pot. I’ve done small batch brand strategy for crazy-complicated business lines. A global top 5 consulting company with a health and security practice and a preeminent hacker group who helps the government keep us safe. Small batches both.